California, 2008. 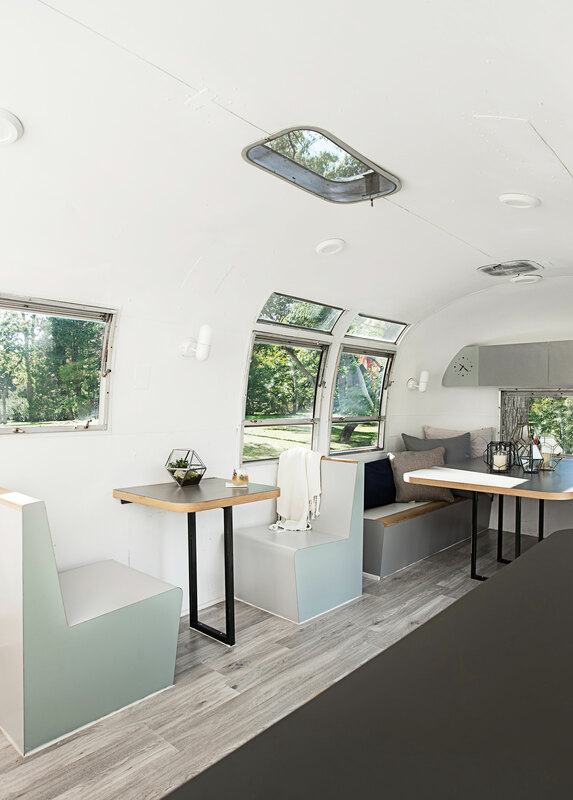 That’s when the Airstream trailer had its most recent moment in the spotlight, trending in the wake of a deluge of media about too cool actor Matthew McConaughey and his penchant for meditating in his tricked-out Airstream. Ottawa, 2016. Move over, Matthew, there’s a new vintage trailer in town. 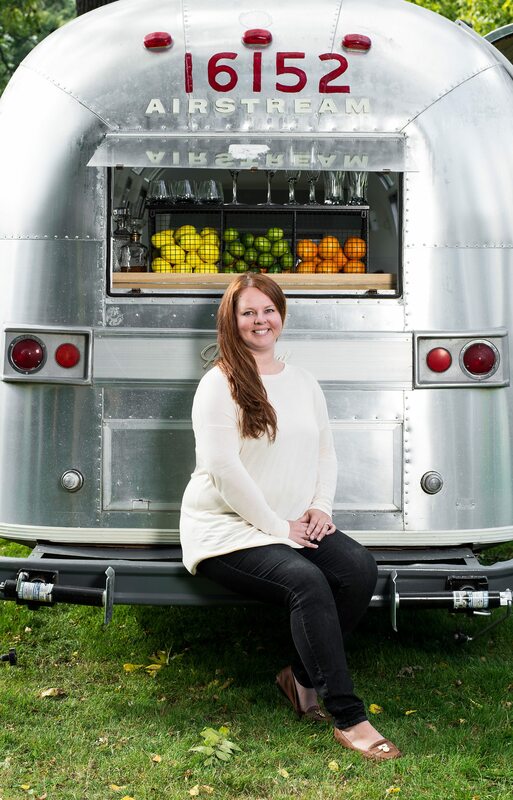 Cellar 82 — Wife and husband team, Kasey Boudreau and Eric Rancourt, have a far less precious use for the versatile metal cylinder on wheels. Theirs is a roving wine cellar and party space, with two wine fridges and a plan to make room for a keg. 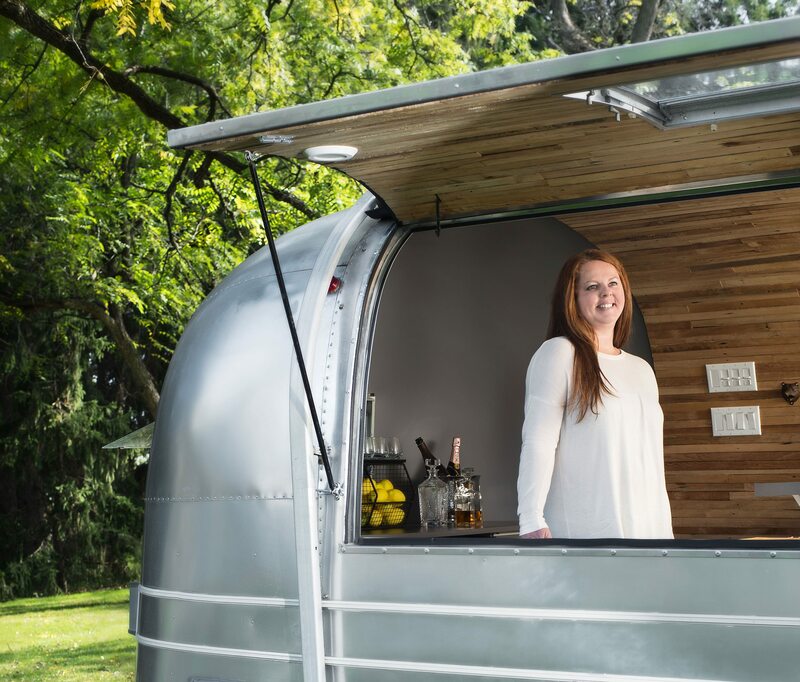 Boudreau, whose roots are in the event-planning business in Niagara wine country, and Rancourt wanted to start a tasting bar in Ottawa, “but we couldn’t find an affordable brick and mortar space,” she says. Instead, they found a 1967 Airstream on Kijiji. After picking it up from the tiny hamlet of Mountain Grove near Perth, she and a girlfriend gutted it with a sledgehammer, then drove it to Grey North design studio in Toronto where she allowed her cousin, Jake Bonnetta, and his team, to go to town. The beautifully reimagined space has so far been booked for everything from record-album launches to bachelorette parties and beer festivals.